I came across this blog post two weeks ago. We all know Sofia Coppola to be the daughter of Academy award-winning director, Francis Ford Coppola. She is now making a name for herself by being a filmmaker like her dad. In fact, she got an Academy-award nomination for best director for Lost in Translation. She collaborated with Louis Vuitton and came up with designs for their handbags. In 1977, Sofia was 5 and Francis Ford Coppola was filming Apocalypse Now in the Philippines. From the recording, Sofia learned to sing the Lupang Hinirang, the Philippine National Anthem, among other things. It is heartwarming to hear the conversation between Sofia and her father. Sofia was so adorable and Francis Ford Coppola was such a doting dad. 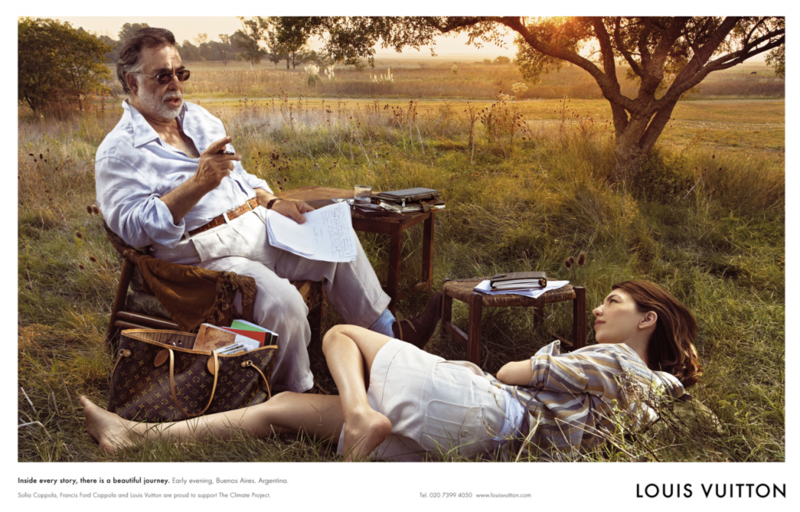 No wonder this photo from Louis Vuitton reflects the father-daughter bond. After hearing this recording, I quickly scampered through my own recordings as a child. And laughed at the recording. Hearing my parents’ voices is comforting. The children today are luckier. With Youtube, Facebook and the likes, their life is documented and chronicled every step of the way. Hopefully, when they are older, they will appreciate the wonderful memories each photo and video bring. As much as I would like to share all of my recordings, it was in my first language, Bisaya. The funny parts might get lost in translation (incidentally, Sofia’s film!). So let me share a just a few seconds from the singing little Kat.